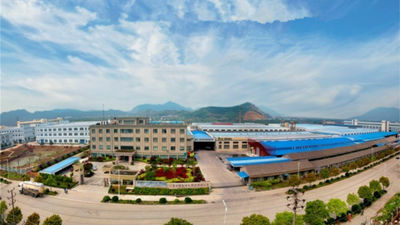 Ningbo Fet Building Materials&Technology Co.,Ltd was founded in 2003 in Ningbo City,located in the south of Shanghai,50km from Ningbo port. We are the biggest professional manufacture of fiber cement board,calcium silciate board in China by 4 automic production lines.Our factory covers an area of 600,000 square meters with the annual capacity of 20,000.000 square meters. We have a high technological content and are recognized as the provincial scientific and technological novelty.The products are tested by Intertek,SGS,TUV,PSV,our enterprise was approved by ISO 9001:2008 and ISO14001:2001,is supplying the customers in USA,Middle East,Australia,Africa,Europe,South Asia and so on. 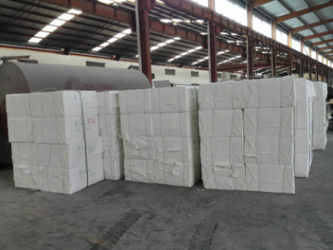 The quantity we export take 60% of the whole production. Sincerely welcome more friends to cooperate with us! 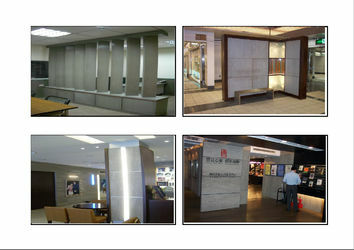 Ningbo Fet Building Materials&Technology Co.,Ltd was founded in 2003. With the concept of “leading quality, driving innovation”, our company dedicates to offering global consumers culture series products which satisfy demand. And have created the enterprise win-win situation with customers and achieved the sustainable development. In the past ten years, FET focus on the development and manufacturing to the products which can provide user happy and fun.With superior quality and unique creativity, FET always maintains leading position in the professional field. FET also pays attention to corporate social responsibility while fast-growing; we always remember the concept of environmental protection during material use and product manufacturing process. We operates the production strictly in accordance with ISO9001 and ISO14001,implementing TQC so as to interpret the unique brand concept in the operation of the full specialized, efficient, environmentally friendly and highly-standardized processes. After long-term continuous hard work, FET has established a strong marketing network in the whole world, the products have covered each county cities and towns. In the international market, the company’s customers pervade in Southeast Asia, Europe, America and the Middle East and other countries and regions. We adhere to market-oriented, promote the information process reengineering further, establish information-based procedure which taking customer as the center, and build global network of logistics, cash flow, and information flow. We holds the spirit of the enterprise “To create value, and to win-win harmoniously”, creates the own world brand of the Chinese nation and is willing to grow quickly as one of the best global suppliers. Ningbo Fet Building Materials&Technology Co.,Ltd was founded in 2003. With the concept of “leading quality, driving innovation”, our company dedicates to offering global consumers culture series products which satisfy demand, and have shaped the distinctive brand personality, created the enterprise win-win situation with customers and achieved the sustainable development.In the past ten years, FET focus on the development and manufacturing to the products which can provide user happy and fun. From a single product to multiple product line development.With superior quality and unique creativity, We always maintains leading position in the professional field. We have a unique first-class designer team with international vision, and has formed the distinct personality and design style and ensured the continued ascent from product design, mold development, product manufacturing to brand value system. 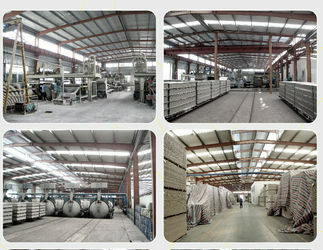 We have 4 production lines with high automation level and many skilled staff members.We mainly specialize in manufacturing a range of products such as fireproof,decorative,UV coated,light fiber cement board and diatomite bath mat.We have earned an excellent reputation at domestic and abroad markets . We attends the Frankfurt Paperworld Fair with good brand image, and welcomes customers from all over the world with high quality products. We attends the canton fair, FET BOARD greets the global customers with high quality stationery products, and also show global purchasers a good brand image.